Next Monday (12th February), a BCBC Scrutiny Committee will meet to discuss progress on town centre regeneration(pdf). Here’s a run down of the key points from the report by general theme. A review of the BCBC staff and councillors parking scheme is underway and due to report to Cabinet in March 2018. The number of staff registered for the scheme has fallen from 840 in 2012 to 464 in 2017 – partly because of staff redundancies, partly because the closure of the Sunnyside offices has led to staff parking in “less convenient locations”, partly because of an increase in the price from £13 to £16-a-month. Residential parking permits in parts of Bridgend town centre were due to be rolled out in 2015, but were delayed due to a lengthy legal process regarding traffic orders. Affected streets will need to be re-consulted. 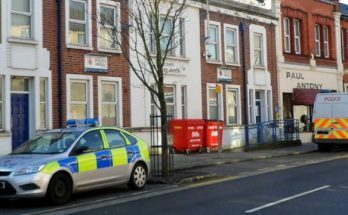 “Inconsiderate parking” isn’t something that can be enforced by BCBC’s Civil Parking Enforcement service – it can only be dealt with by the police, particularly if there’s obstruction of a path or highway. The main problem area for bad parking is outside schools during drop-off and pick-up times; parking behaviour changes for the better when there’s a uniformed Civil Enforcement Officer present. Interviews are taking place for the operator of the mobile CCTV parking enforcement van. Once a person has been selected the vehicle and equipment will be bought. 6% of off-street car parking spaces are for the disabled, which is in line with industry standards. 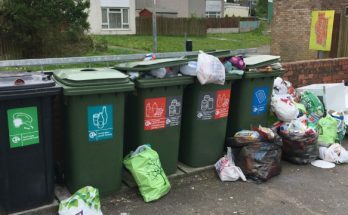 Consideration had been given to reclassifying some parking bays around Bridgend town centre as disabled spaces, but they’re all needed for other purposes such as loading and unloading. Further (informal) consultation on the design of the scheme has been undertaken. Last year, £60,000 was agreed in principle to carry out detailed design work. 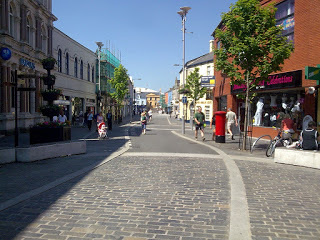 There is no council funding available for the de-pedestrianisation scheme; the Bridgend Business Improvement District (CF31) and Bridgend Town Council have committed a combined £60,000 towards the project, but the rest of the funding will need to come via Welsh Government regeneration funds – for which BCBC will bid. A recent revaluation of business rates has seen a majority of businesses in Bridgend and Maesteg town centres see a decrease in the amount of rates they pay by up to 60%. However, Porthcawl town centre has, on average, seen a 30% increase. BCBC runs a rate relief scheme for businesses entitled to Small Business Rate Relief – there’s been good uptake. Businesses have said the change in rates has been the biggest barrier to establishing a new business or continuing an existing business in Bridgend and Porthcawl. A full business case for Welsh Government funding for the redevelopment of Maesteg Town Hall is now bring drafted; a decision on a second bid for Heritage Lottery Funding is expected later this month (more here). There’s confirmation that £2million is being sought towards a £7million project to demolish and/or redevelop Wyndham House and Cambrian House in Bridgend town centre (the Post Office building and attached building to the rear). Initial proposals include a mini-square/pocket park opposite Carnegie House, retail units and apartments. If all goes according to plan the redevelopment could start in 2020 (more details here). Coastal Housing is progressing with a 10 apartment development at the former McDonalds on Nolton Street. It’s awaiting a £1.8million investment. Bridgend county is one of only two local authorities in the UK (the other being Glasgow) to have secured five rounds of Township Heritage Initiative funding, which has been used in Bridgend, Maesteg and Porthcawl. 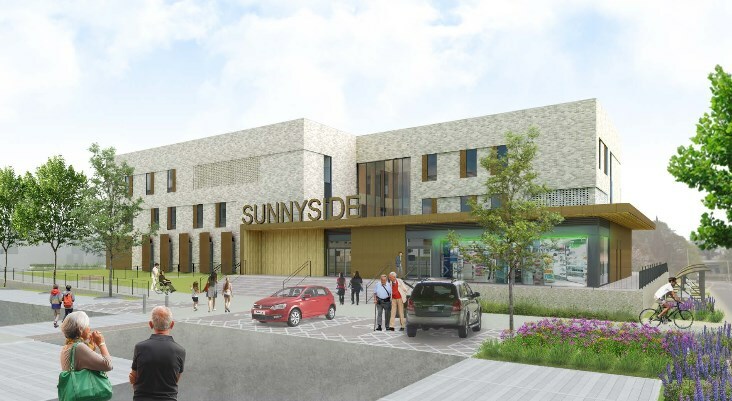 The total investment to date has been £11.3million. A tender to construct the new Rest Bay Watersports Centre is to be issued this spring; works should be completed by summer 2019. A £320,000 renovation of the Porthcawl Marina kiosk is scheduled to start in March 2018. BCBC is lobbying the UK Government to replace Pencoed level crossing with a re-modelled road bridge at Penprysg Road. This would enable land in the western half of Pencoed to be opened to development after a moratorium was instituted due to the level crossing itself. So some interesting things and a number of issues arise. The main one is the future of Bridgend Post Office. If Wyndham House is redeveloped or demolished – subject to BCBC and any partners securing funding – then it’s likely it’ll have to relocate in/by 2020, whether temporarily or permanently. There was talk of it moving to the basement floor of WH Smiths a few years ago, but those plans were scrapped – will it be resurrected?